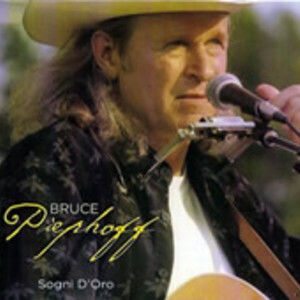 Bruce Piephoff was born and raised and continues to live in North Carolina. He is a singer/songwriter with 14 CDs of original folk/blues and spoken poetry . As a kid he was influenced by his father's guitar playing and interest in folksingers like Woody Guthrie, Bob Dylan, Eric Andersen, John Prine, Townes Van Zandt, Tom Waits and Tom Paxton. He dropped out of college at UNC-Chapel Hill after 2 years to ply his trade as a traveling singer/songwriter and hitchhiked across the country several times playing at little bars and cafes. He dropped out of college at UNC-Chapel Hill after 2 years to ply his trade as a traveling singer/songwriter and hitchhiked across the country several times playing at little bars and cafes. Later he returned to school during a slow period and finished a B.A. in English at UNC-Greensboro and even got his Master of Fine Arts degree there in poetry where he studied with Fred Chappell and Robert Watson. This led to work in a wonderful program they had at that time called the Visiting Artist program. It was sponsored by the N.C. Arts Council and the Community College System and allowed artists to live in small rural communities doing concerts, workshops and performances free to the local community. The artist was paid a salary by the state and had full health insurance and benefits. Bruce did this kind of work as his bread and butter for a number of years, 1986-2001, and found such residencies all over N.C. and in Florida and Virginia before funding was ended in 2001. Since then Bruce has gone back to touring the folk circuit coffeehouses, festivals, house concerts, and schools.